Stara Zagora (Bulgarian: Стара Загора, [ˈstarɐ ˈzaɡorɐ]) is a city in Bulgaria, a nationally important economic center. Located in Southern Bulgaria, it is the administrative capital of the homonymous Stara Zagora Province. The favourable geographic and climatic conditions of the territory around Stara Zagora contributed to the establishment of several prehistoric settlements in the remote past. More than 100 prehistoric mounds from the 6th to 3rd millennium BC were found in the vicinity of Stara Zagora. One of them, the Bereketska mound, is the largest in Bulgaria, containing traces of people that lived there from the New Stone Age (6th millennium BC) to the Middle Ages (12th century). A prehistoric settlement can be found within the city itself. Two dwellings from the New Stone Age are preserved in the Neolithic Dwellings Museum. These are the best preserved dwellings from the New Stone or Neolithic Age (6th millennium BC) in Europe and contain a rich collection of tools and artefacts. The oldest copper mines in Europe (5th millennium BC) were found 8 km (4.97 mi) east of the city, A considerable amount of copper ore was extracted from the 11 mines by the ancient inhabitants of this land who traded with it throughout the continent. Located at the cross-roads of multiple civilizations, Stara Zagora is an important piece in the European cultural routes mosaic. 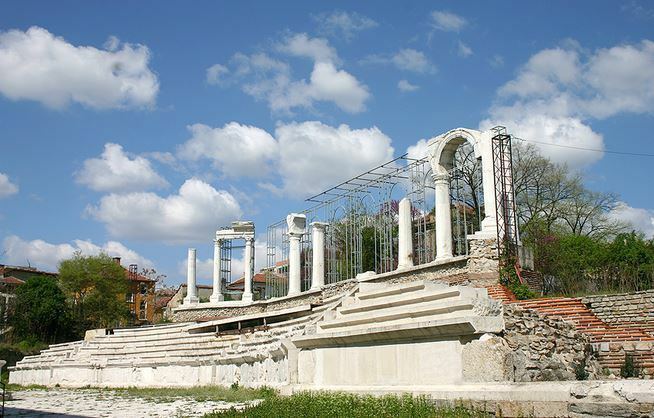 Inhabited by ancient Thracians, Romans, Ottomans and Bulgarians, this unique city bears the historical imprint of those past civilizations along with many of their historical treasures. Proof of its longevity can be found in the multiple names of the city, each one connected with a different era of its development. Founded around 106 AD by the Emperor Marcus Ulpius Traianus (98-117 AD), Augusta Traiana, "the most flamboyant city of the Traians" was the second largest city in the Roman province of Thrace during 2nd and 3rd century AD, after Philipopolis (present-day Plovdiv). It occupied an area of 38 hectares and was fortified by strong fortress walls. Augusta Traiana had the statute of an autonomous city of the ‘polis' type (i.e. city-state). From the time of Emperor Marcus Aurelius (161-180 AD) to the Emperor Galienus (253-268 AD) it had the right to mint its own bronze coins, which were in circulation all over the Balkan Peninsula. Between the 4th and 7th centuries as part of the Byzantine Empire the city had the name of Beroe. It was a religious centre of the early Christians on these lands and the residence of an archbishop. For a short period it was named after the Byzantine Empress Irina who visited the city in 784 AD. In 812 AD the city became part of the First Bulgarian State under the name of Vereya or also found as Bereya, Beroya. During the Second Bulgarian Empire (12th through 14th centuries) the city had the name of Boruy. 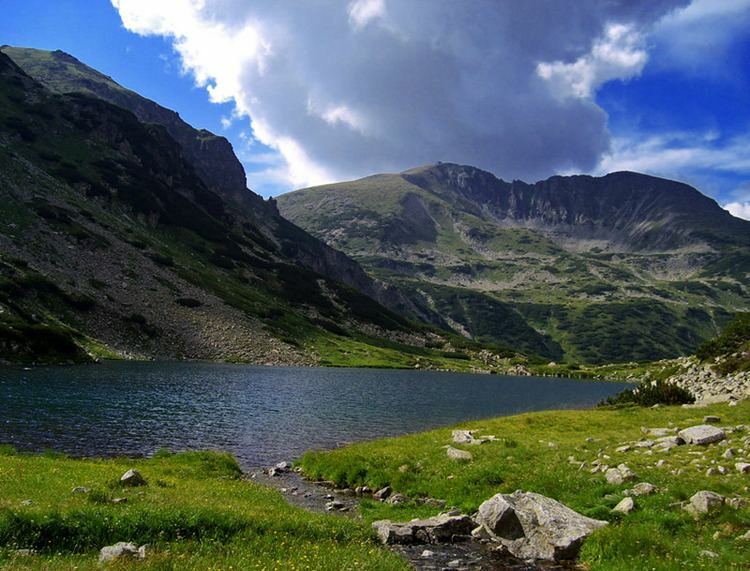 It became the centre of an administrative region within Medieval Bulgaria. Some of the most remarkable Medieval stone plastic arts date back from this period - fine bas-reliefs featuring animals. One of them, a lioness with its cub, became the symbol of Stara Zagora. In 1364 the medieval city was captured by the Turks who called it Eski (Hissar) Zagra (the Old fortress Zagora). During the Bulgarian Revival it evolved into an important centre of crafts and trade. At the end of the 1850s, the Turkish name was replaced by the Bulgarian name Zheleznik. It was a kaza centre in Filibe sanjak initially in Rumelia Eyalet, laterly Silistra Eyalet, finally Edirne Eyalet. In 1878, it was finally sanjak centre in Eastern Rumelia eyalet till unification with Bulgaria in 1885. At the end of the 1850s, the Turkish name was replaced by the Bulgarian name Zheleznik. The city's current name, Stara Zagora, appeared for the first time in documents from the Church Council of Tsarigrad in 1875. On July 31, 1877 a 48,000 Turkish army was launched on the town, which was merely defended by a small Russian detachment and a small unit of Bulgarian volunteers. After a six-hour fight for Stara Zagora, the Russian soldiers and Bulgarian volunteers surrendered to the pressure of the larger enemy army. The town then soon experienced its greatest tragedy. The armed Turkish army carried out the Stara Zagora massacre against the weaponless civilians. The city was burned down and razed to the ground during the three days following the battle. Incredibly sadistically were massacred 14,500 Bulgarians from the town and villages south of the town, encompassing all Bulgarian civilians with exceptions. Another 10,000 young women and girls were sold in the slave markets of the Ottoman Empire. All Christian churches were attacked with artillery and burned. The only public building surviving the fire was the mosque, Eski Dzhamiya, remaining even nowadays. This is possibly the largest and worst massacre documented in the Bulgarian history and one of the most tragic moments of the Bulgarians. While the people of Bulgaria lost this particular battle for Stara Zagora, they did ultimately win the war. 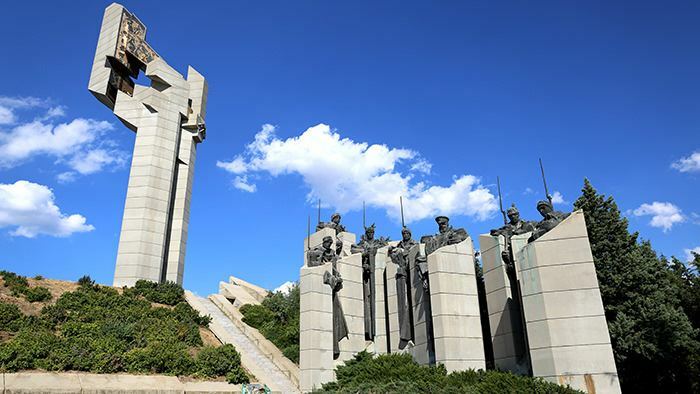 Today, several monuments witness the gratitude of the Bulgarian people to its liberators. On 5 October 1879 Stara Zagora's restoration from the destruction began immediately after the liberation of Bulgaria, by prince Aleko Bogoridi laying the first symbolic foundation stone. 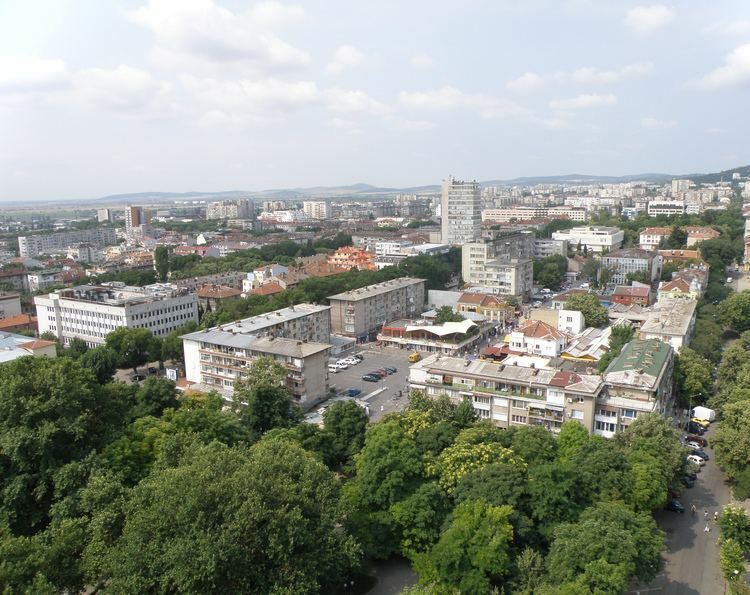 The city was rebuilt on plans designed by the Czech architect Lyubor Bayer, and became the first modern-looking Bulgarian city after the Liberation with its large straight streets and spacious squares. Every year October 5 is celebrated as the official day of Stara Zagora with multiple events, concerts, activities for kids and a fair. Stara Zagora is the administrative centre of its municipality and the Stara Zagora Province. It is about 231 kilometres (144 mi) from Sofia, near the Bedechka river in the historic region of Thrace. The city is in an area of a transitional continental climate with a considerable subtropical influence. The average yearly temperature is about 13 °C (55 °F). Stara Zagora was possibly the biggest town in today's Bulgarian territory before liberation from Ottoman rule. But the town was burned and destroyed by Turkish army during the Liberation war in 1877-1878. During the first decade after the liberation of Bulgaria, in the 1880s the population of Stara Zagora decreased and numbered about 16,000. Since then it started growing decade by decade, mostly because of the migrants from the rural areas and the surrounding smaller towns, reaching its peak in the period 1989-1991 exceeding 160,000. After this time, the population has started decreasing because of the low birth rate. 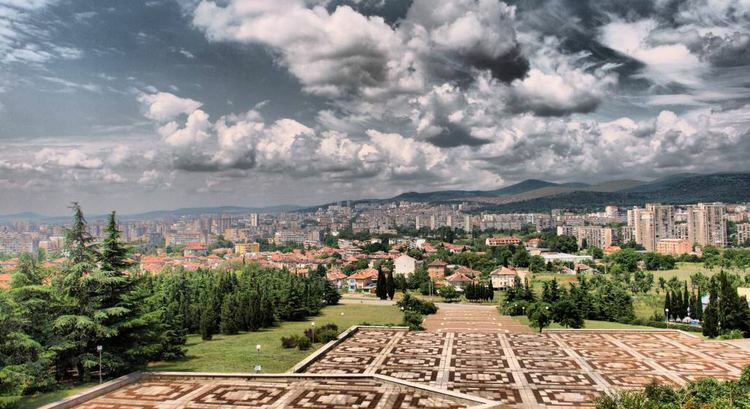 Stara Zagora is one of the richest cities in Bulgaria with much better economic situation than average for the Bulgarian provinces. PFC Beroe Stara Zagora is a football (soccer) club in Stara Zagora. It was established in 1916 and plays at Beroe stadium. The team is a member of the "A grupa" league. Beroe has won the Bulgarian Cup two times (2009-2010 and 2012-2013). Beroe Hill on Livingston Island, West Antarctica is named after this city, in its previous incarnation as Beroe. One of the two lighting factories Svetlina is situated here.